If you are selling products you will need an e-commerce solution. Whether your company is a pure-click or a brick-and-click company, with years of experience (and a ton of trial and error), we can help you find the right solution, integrate it into your web site, and link it to your accounting software. We provide the best service to populate the e-commerce platform with your products and ensure it is optimized for search engines. We also provide continued support for updates and new products. There are thousands of turnkey e-commerce solutions. Let us help find the one that matches your company and budget. 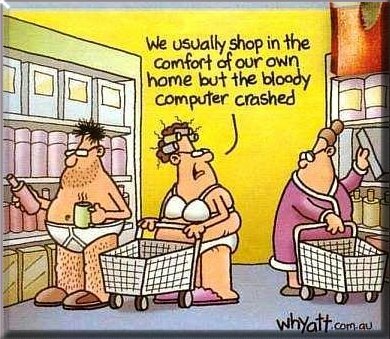 Let people shop in their underwear!